Solid wood boards full-length 7-9cm width staved. With open bottom legs. 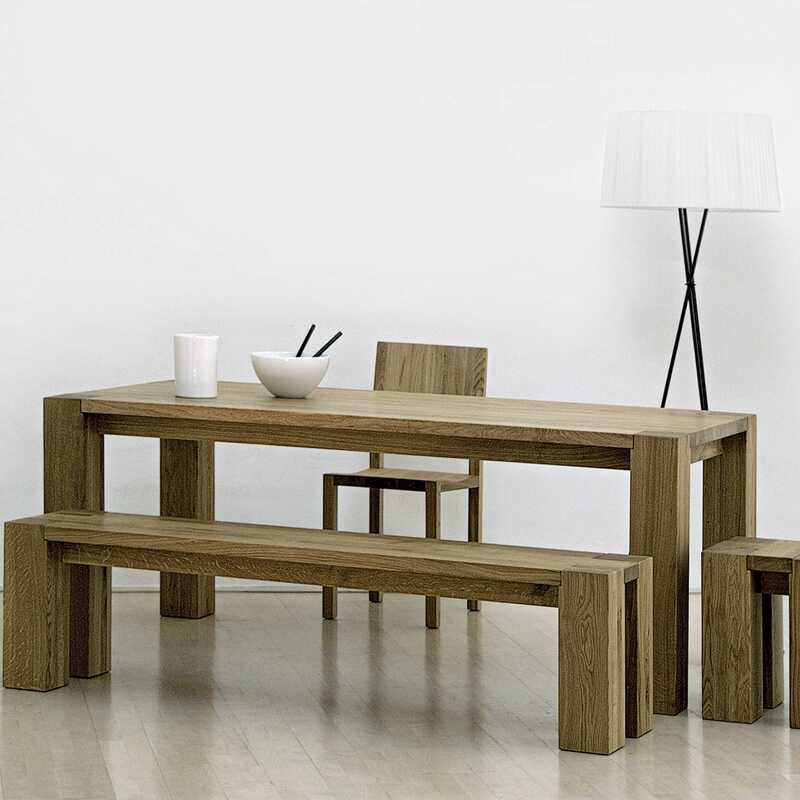 They give the table the character of a piece of furniture in Bauhaus style. The nicely shaped model with solid material and timelessness. Extension possibility: with one or two attachable extension leaves at table ends in addition to max. 100 cm (39 3/8”). 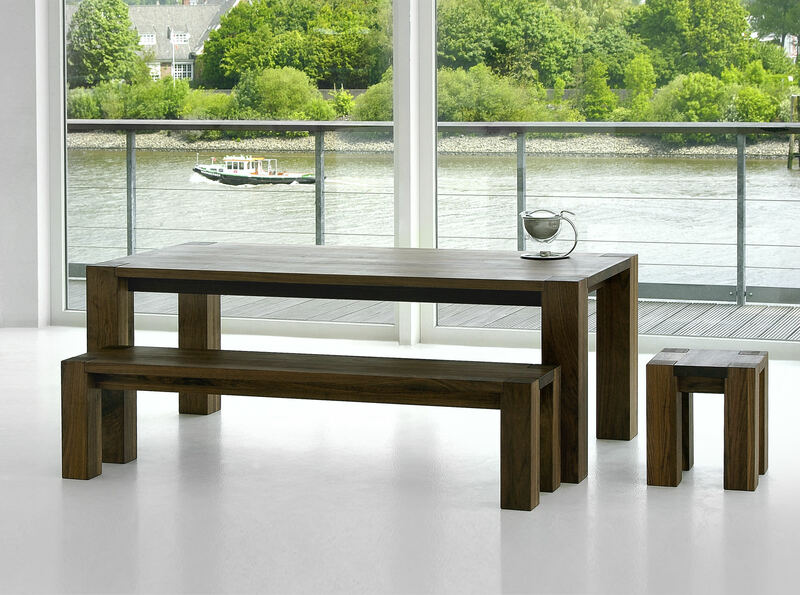 Configure your own personal designer bench or custom made to your specifications. Available in natural treated solid wood: ash, beech, core beech, cherry, maple, oak, knotty oak, walnut, knotty walnut.